How many times have you heard someone moan about their inability to find a good reliable, conscientious cleaner. Cleaners are ten-a-penny, but good cleaners are worth their weight in gold. 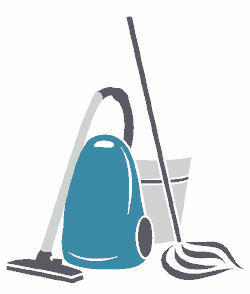 We provide weekly, fortnightly or monthly regular cleaning to suit your home and requirements. We have an excellent reputation for the quality of our work and have many clients who are happy to provide references. At Maid2Measure Limited we are so confident that you will be delighted with our service, we are offering a way for you to try us for less - check out our special offers page. Let us buff your shiny surfaces to within an inch of their lives, and banish dust forever. We will clean the insides of your windows, clean the insides of your kitchen cabinets, hang out your washing, or even do your ironing - in fact, you tell us what is important to you and leave us to get on with delivering it. The only thing we do not do is the insides of ovens - as this is a specialist service.